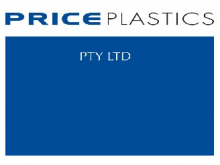 Price Plastics has been supporting the plastics industry for over 15 years, manufacturing specialty polyethylene compounds and powders which are marketed under the “Microtuff” range of polymers. With manufacturing plants and sales offices in Victoria, New South Wales and Queensland they are well placed to cater for all customer requirements. Price Plastics are committed to providing a full range of quality pipe and stripping compounds with outstanding levels of customer service. These products are listed on the Approved Compounds List of PIPA and fully meet the requirements of AS/NZS 4130.